Kinder, gentler Super Bowl ads this year? 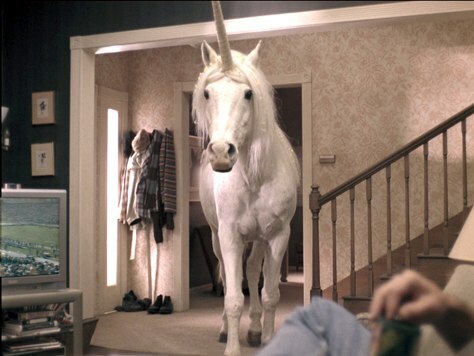 A unicorn strolls into a living room in a scene from a commercial for Emerald nuts during the Super Bowl, Feb. 6. This year's crop of ads is expected to be more sedate, in contrast to wilder, more ribald commercials in the recent past.